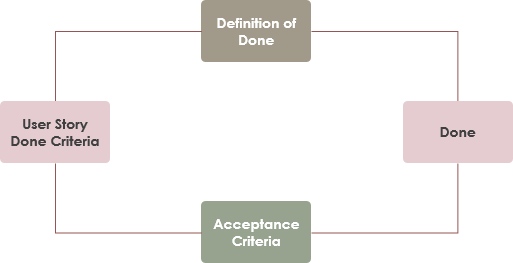 Definition of Done (DoD) is a list of requirements that a user story must adhere to for the team to call it complete. 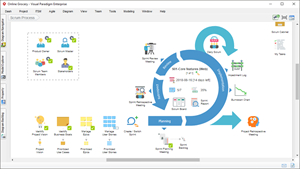 While the Acceptance Criteria of a User Story consist of set of Test Scenarios that are to be met to confirm that the software is working as expected. The difference between these two is that the DoD is common for all the User Stories whereas the Acceptance Criteria is applicable to specific User Story. Acceptance Criteria of each User Story will be different based on the requirements of that User Story. Ensure the increment shipped at the end of the Sprint has high quality and that the quality is well understood by all involved. Product Owner reviewed and accepted? User Stories encapsulate Acceptance Criteria, thus we often see the definition of done and acceptance criteria co-existing in our scrum development process. User story provides the context of the functionality the team should deliver. 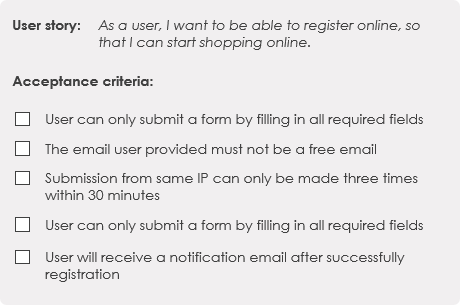 The acceptance criteria gives guidance about the details of said functionality and how the customer will accept them. The two of them together provide the whole deliverable. Some of the Acceptance Criteria will be discovered in Ongoing Backlog Refinement events before the Sprint starts, and others will be discovered right after Sprint Planning when sit down to have a conversation about the user story in a small team. 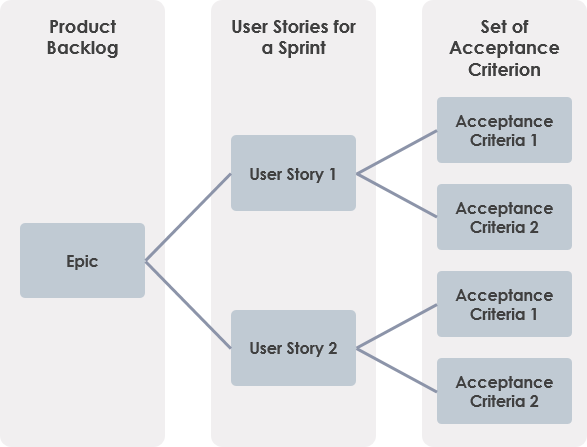 So Acceptance Criteria are attributes that are unique to the User Story or Product Backlog Item. Help verify the Story via automated tests. The figure below shows an example of acceptance criteria of a user story.